I had planned on doing my second round up of books I’ve read this year at the end of the year, as a kind of recap of all the books I’ve read in 2017. 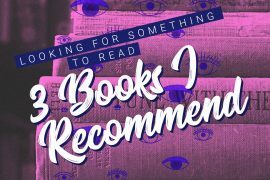 However, as I started reading my 34th book of 2017 this morning (I just delved into I Am Watching You by Teresa Driscoll) I figured I better divide my recaps up a little bit more. 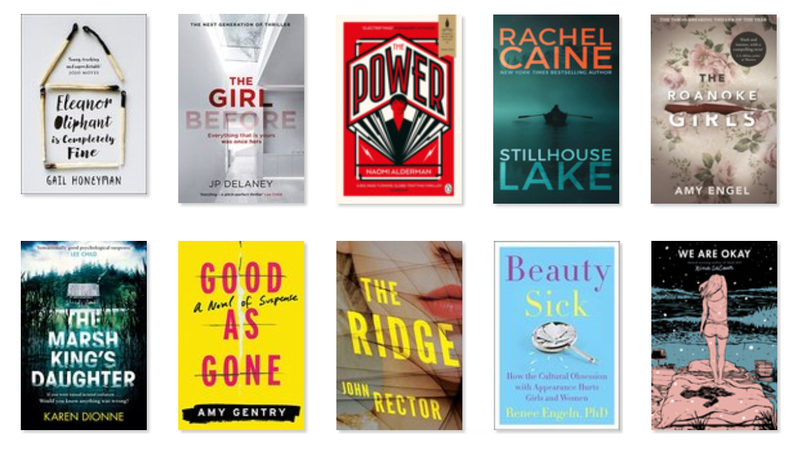 In June I did a recap of the 20 first books I’d read this year, and below are the following ten I’ve read. I still intend to do a full recap at the end of the year, at this rate I should have ploughed through somewhere around 42 books this year! Or maybe I’ll top that? This story is melancholic and quiet, but beautiful all the same, LaCour has a pleasing way of writing. The story’s main character, Marin, has moved to New York to attend college, leaving the grief of the last couple of weeks in California behind her. Nobody knows the truth about what happened those last few weeks before she left, not even her best friend Mabel. As the campus empties for winter break, Marin is left in loneliness until Mabel comes to visit for three days. With Mabel’s visit, Marin is forced to confront the loneliness she’s become so accustomed to. I highlighted a quote I liked in this book: Finish each day and be done with it. You have done what you could. Some blunders and absurdities no doubt crept in; forget them as soon as you can. I absolutely loved this book and would recommend it to everyone! This is a book for all genders. It’s an eye opening read about how the way our culture and society value “beauty” and appearance is hurting and debilitating girls and women. Fans of books like The Feminist Fight Club and The Feminist Utopia Project (which I’ve mentioned before) will enjoy this one. Throughout reading this book I felt a rollercoaster of aha-moments, empowerment through new perspectives, and infuriatingly frustrated with how brainwashed we are by societal standards. Read it! I like a good crime/thriller novel and this one sounded just like one of those page turners that leaves you guessing what is going on and whodunit. In The Ridge, Megan and Tyler move to the suburbs of Chicago, to the planned community of Willow Ridge, following Tyler’s job transfer to the institute. The community has that stepford-eeriness about it, where all the neighbours seem to be copies of each other. When an accident leaves one neighbour dead, with Megan as the only witness, things begin to get weird. Is the neighbour really dead? What is actually going on at the Ridge? As page-turnable as this book sounds, I was slightly underwhelmed. The sci-fi sprinkling in this story just made it a little too unbelievable for it to be truly exciting and unputdownable like some crime novels are. I rated this one 5/5 stars on Goodreads, which gives you a pretty clear picture of how much I liked this suspenseful novel! This book is exactly the type of page turner I am always looking for. Good as gone is one of those books that are hard to put down because you just have to find out what happens, who did it, and why. It keeps you guessing. Good as Gone is about 13 year old Julie Whitaker who was kidnapped from her home in the middle of the night, the kidnapping was only witnessed by her younger sister who was paralysed with fear, hidden in the closet. Then, 8 years later, the doorbell rings and a 21 year old woman, who appears to be Julie, is back. If you’re into psychological suspense then The Marsh King’s Daughter might appeal to you. Helena was born into captivity and lived with her mother and the notorious child abductor, her father – The Marsh King, until the age of twelve when she escaped and for the first time had contact with the outside world. Now Helena has grown up and has a family of her own, neither her husband nor her children know who she really is, she has never told them the dark story of her past. When the news breaks that The Marsh King has escaped from prison, Helena knows she and her family are in danger. The story alternates between past and present, telling the story of Helena’s captive childhood and the present suspenseful fight to keep her family safe from her father. At fifteen, Lane Roanoke moves to live with her grandparents at their rural estate after her mother’s suicide. The Roanoke family is notorious in the area, specifically for the girls in the family. They’re beautiful, rich and mysterious, and now Lane gets to experience a summer of being one of them. But things aren’t as glossy as they seem, lurking in the family is a darkness that Lane’s mother never spoke about but that ultimately lead to her suicide. I thought this was an okay read, a bit predictable and also a very sad and disturbing story. Stillhouse lake starts with a car accident that forces Gina Royal to remake herself and her identity. She has a happy marriage and two perfect children, but everything is turned upside down when the car accident reveals her husband’s secret life as a serial killer. With her ex-husband in prison, Gwen (Gina’s name as her new identity) and her children have moved to Stillhouse Lake to find refuge and a possibility for the children to grow up in peace. However, Gwen is still dealing with stalkers and internet trolls who think she had something to do with her husband’s crimes. Then a body turns up in the lake and threatening letters start showing in Gwen’s mailbox. Stillhouse Lake is somewhat of a page turner, I was constantly trying to figure out who Gwen could trust – who are her friends and who are the enemies out to hurt her? The Power is a pretty thought provoking read, and at first I was really excited about the storyline. The Power starts with girls worldwide suddenly finding that with a flick of their fingers, they can inflict pain and even death on others. The novel follows four main characters and their lives as they change with The Power they now find themselves possessing, with this we get a view of the world from a completely different perspective. What would the world look like if the power to hurt were in women’s hands? How would control and power shift from how the world looks today? Jane has been selected for the chance to live in a fancy minimalist house designed by a famous architect. The house is far from what she could have ever imagined having the fortune of calling her home, but it doesn’t come without a long and strange list of rules and conditions. Soon after moving in, she discovers that a previous tenant met a mysterious death in the house, and it’s not long before Jane starts to notice resemblances to the girl before in her own story. For fans of psychological suspense, The Girl Before is one to put on your list. I really enjoyed this book, it’s such a cute and touching story, however with a rather dark and sad backstory lurking between the lines. Eleanor Oliphant is a peculiar woman, she sticks to her routines and has what some would consider a very monotonous life. When she meets a new friend, her routines start to loosen as she allows other people into her bubble. Eleanor is the narrator in this story and her perspective on things is both eye opening and funny. Her take on things become particularly interesting after this new encounter rustles things up in her life. What are you reading right now, and what is your favorite book? Always love a good read as you know! Thanks for giving me some good ideas!